Will Martial Law Affect Foreigners in the Philippines? The short answer? Yes. The security guards at the entrance of your local SM Mall might give you an extra pat down or two, at least for awhile. 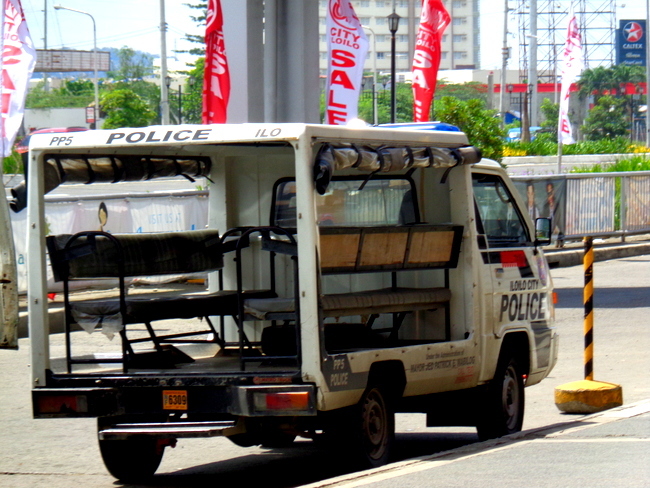 Its possible you’ll see more police and army checkpoints, especially if you live in Mindanao. I live in the Visayas, along with my beautiful Filipina wife, which may also be placed under martial law. Fine with me. I personally believe that the declaration of martial law will further weaken the Philippine Peso and give us a better exchange rate for the US Dollar. I doubt that Muslim terrorists or sympathizers will gain much traction on our overwhelmingly Catholic island province. The Police Regional Office 6 (PRO-6) of Western Visayas has not monitored any threat from terrorist groups. However, all police units have been placed on full alert status. Unless terrorist activity increases to an extremely dangerous level, I don’t see martial law having much of an impact on our daily life in the Philippines. We live in a secluded area and I rarely step foot out of our property. My asawa has gone on a solo mission to nearby Panay Island today to have her hair styled. Since I have no hair to speak of, I didn’t see the need to go along. My spouse is also going to purchase a new microwave. She may face increased security at Jordan Wharf in Guimaras or Ortiz Dock in Iloilo. I’ll have to check with her when she returns. I’d rather have some security guard at the local Robinsons Mall frisk me than be welcomed by some overly boisterous Walmart greeter back in the States. After seven years of service, our 5,000 peso Whirlpool has finally given out. While the old microwave may only need a fuse to repair it, I made an “executive decision” to purchase a new one. My wife certainly doesn’t need my help in picking out a new microwave oven so I’ve stayed home. So while I doubt the current declaration of martial law will affect many foreigners outside of Mindanao, I’ll keep a case of bottled water on hand…just in case.